In these times of high electricity prices many of us, especially those on a low income are very concerned about running up high bills, we have kettles that boil just one cup, energy saving light bulbs, solar panel options and much more to save money by reducing the electricity where we can. It is not surprising then that many disabled or elderly people think twice before having a stairlift installed even if that means they are unsafe on the stairs. You will often read about the amazing features of a stairlift, how easy and fast they are installed, the many seating options including left or right hand controls, their adaptability to be fitted to straight or curved stairs etc etc but very few suppliers think to tell you about the running costs. Suppliers are not trying to hide anything, they simply have not considered that you may be concerned about how much it costs to run a stairlift. 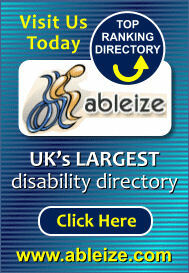 ABLEize teamed up with the UK’s largest supplier to ask this question and throw some light on a subject rarely covered. So how much would you think it costs to run a stairlift say twice a day for a month? £20.00, £10.00 or even just £5.00 for a whole month? Surprisingly it cost approximately £7.26 for the entire 365 days of the year! That breaks down to just over 60p per month according to figures supplied by Stannah. A stairlift can offer you many benefits such as being able to remain in the home you love, offer greater safety going up and down stairs and peace of mind for your loved ones.